Sometimes when you read an article or a book, it changes your life. Maybe the reading speaks in a spiritual way that brings about change. Other times, it brings enlightenment about something unexplained. This article (When Kids Have to Act Like Parents) brought enlightenment for me. I absolutely realize that early trauma changes the formation of the brain. However, I think many social workers and parents have always lumped a child having to parent other children (whether siblings or younger children at an orphanage) as early trauma. I know that I have. And it is. However, researching it in isolation can be beneficial as well. This article solely looks at parentified kids (kids with the responsibility to parent someone else) and the effects into adulthood. 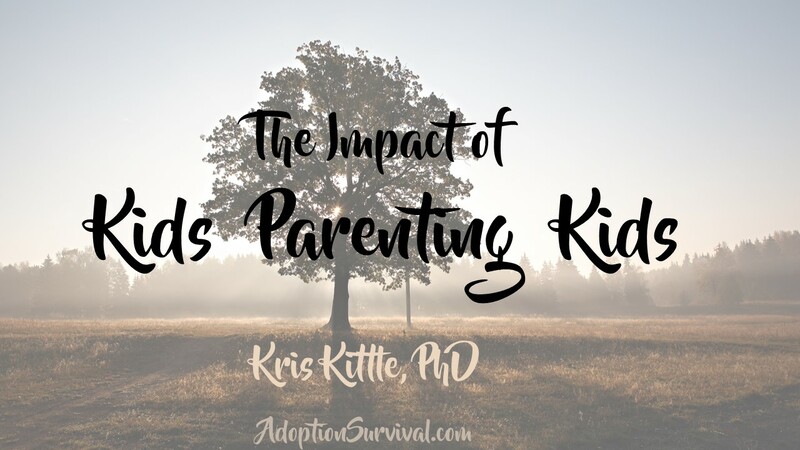 The article has caused to me to rethink the long-term impact of kids parenting others. Take a few minutes to read it. You may find it help clarify one aspect of “why” behind behaviors you have seen in yourself or your child.